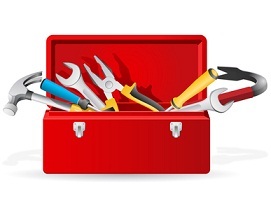 What is the Toolbox Module? The Toolbox Module can also be programmed it to do its job whenever you want to – you can do this manually instead of scheduling the Toolbox Module to clear your cache and cookies. To set the toolbox, all you have to do is to click on “New” and choose “Toolbox” and SeNuke X can start clearing out the cookies and cache. What Are Cookies? What Is A Cache? Cache, on the other hand, is sort of a “collection” of the sites that you frequently visit. As your browser opens different sites, it stores some of the information about those sites in the Cache, in order to help speed up the load time of the site. For some sites, this can mean saved information about your previous visit, which is something you want to avoid when running a campaign with SeNuke X. For a marketer who is using an automation tool, being able to automatically clear the cookies and cache is very important to not only speed up your browser’s performance but also to avoid raising a red flag on various websites as well. This is because some websites do not look kindly to multiple accounts being logged into from the same computer. And here is where the Toolbox Module comes in. Is the Toolbox Module Important? Of course! You need the Toolbox Module. No internet marketer wants to get caught visiting the same site X-times a day from multiple accounts with the same IP. Aside from the possibility of getting banned from that website, this may possibly send warning signs to search engines. If you’ve read a SeNuke X Review before, you’d know what I’m saying. A common cause of low success rates is that some sites won’t accept your content because it the site is able to determine multiple accounts have accessed from your computer, and refuses login previledges. The SeNuke X Toolbox Module can really improve efficiency of your projects and account creation, by cleaning the cookies and cache, making it difficult for these sites to detect the use of multiple accounts. Another feature you can see in the Toolbox is the ability to run an external application. If you’re not content with the different tools in the Toolbox Module, you can also integrate the CCleaner with SeNuke X. There are a number of ways to do this but the easiest would be to go to your Toolbox Module projects and add “C:\Program Files (x86)\CCleaner\CCleaner64.exe” in the file name. If you want to automate the CCleaner too, add “/auto” in the arguments section. CCleaner is a freeware that erases your browser’s history, along with other unnecessary files that can slow down your system. Some users prefer to use this in addition to the Toolbox Module, in order to ensure that no data is left by the websites visited. With the release of SeNuke X version 2.0, the future of the Toolbox Module becomes uncertain, as one of the updates done by the developers of SeNuke X is to use sockets instead of the default browser to access the various sites SeNuke X accesses. While the Official SeNuke X Blog has said that some sites will still require the use of the browser, it’s clear that SeNuke X is heading towards a completely browserless implementation. This is of course good news for the users of SeNuke X, since it will free up some system resources while making the different modules run faster. Until the time that SeNuke X is completely browserless, however, SeNuke X users can be sure that the Toolbox Module will keep their system clean, in order to run more efficient campaigns.